telecaster Archives - Fret nut... Have Guitar! Marshall DSL20H – Test & Review! So this is small and light, can go from close to clean to screaming gain, has loads of EQ options and can be bought brand new for less than 390 euros / 440 USD. I was totally impressed by this little power pack and would not mind getting one myself. Would also like to throw in that this was the first time we recorded at this location, the light was worse than I though so next time I’ll bring my studio lights. Also the sound is picked up as we hear it in the room but, next time I think still I should place the microphones close to the speaker. If you are one of those looking at my vid’s without subscribing, please do! 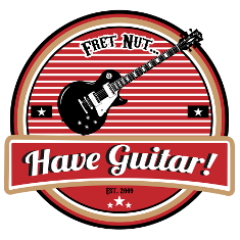 Just hit that sub-button to support Have Guitar! Many Thanks to all of you kind enough to support me through subscription, you rock! Author adminPosted on December 13, 2018 December 13, 2018 Categories Reviews & TestsTags 20 watts, amp, amplifier, berzerker od, classic gain, custom shop, dsl20h, Explorer Tribute, fender, fret nut, gibson, harley benton, have guitar, head, les paul studio, marshall, mxr zw-44, reissue 52, review, sound demos, sound examples, telecaster, test, ultra gain, vintage overdrive, zakk wyldeLeave a comment on Marshall DSL20H – Test & Review! My partner in crime (when it comes to a fascination of guitars!) Klas came around with a surprise the other day. I kinda suspected what it was from the tweed case he had in his car and lo and behold: it was Fender Telecaster Reissue 52 Custom Shop from 2014! It had a little relic from the factory but not so much that it was disturbing (me not being a fan of factory relicing really!). So, we spent a couple of hours playing this Tele and man; was I impressed! And so was Klas as he hadn’t that much time in it. It just sounded great with any profile we loaded up in my Kemper, from clean worshiptones to full metal higain stuff! And so we decided to make test/review video of this Fender Tele and to my delight Klas also joined in on the video – very fun to have someone to talk to during the video and I hope you’ll like that too! For the sound we’re playing through my Kemper, hooked up to my Focusrite soundcard via SPDIF (stereo) and recorded in Reaper. I have used profiles from the following profilers: ReampZone, Live Ready Sound, SinMix, Mattfig, TMS Profiles and ToneJunkie. Tried to pick a varied selection of sounds from clean to metal to give you wide overview of what the Tele is capable of. So, I certainly hope you like this video and feel free to support my channel by a subscription! And as always a Very Big Thanks goes out to all you who subscribe – Thank You! Yet another unboxing video! It’s not something big and I won’t reveal here exactly what it is… I mean, the point of an unboxing video is the excitement of seeing what in the box (or bag in this case), right? All I’ll state here is that it’s something for a Telecaster and I bought it from Wish. Now go. Watch. The video. Well, if you like this video please do subscribe to Have Guitar! At least one new video out every thursday and sometimes more… trying to do interesting and funny vid’s for guitar/music lovers. Your support counts! A very BIG Thanks all of you who already subscribes to Have Guitar! Have Guitar! presents the Beercaster! The story is in the video; it’s a very cheap build-it-yourself guitar kit bought from Germany, a telecaster style guitar that I covered with beer labels (I DO have the whiskey labels… but I don’t wanna waste them before getting some more experience!). I hope you liked the video – feel free to subscribe for a whole lot more content on Have Guitar!